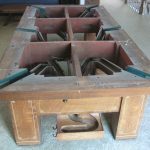 This is an old, really old Brunswick pool table that we were hired to disassemble. The longtime Cypress, CA residents where pulling up the stakes and moving on down south to Fallbrook, CA. The client didn’t trust his regular movers to handle the inch and a half thick slates. 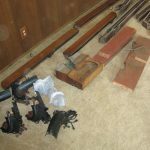 He convinced me to carry them downstairs and keep them in my shop until his Fallbrook home was complete. 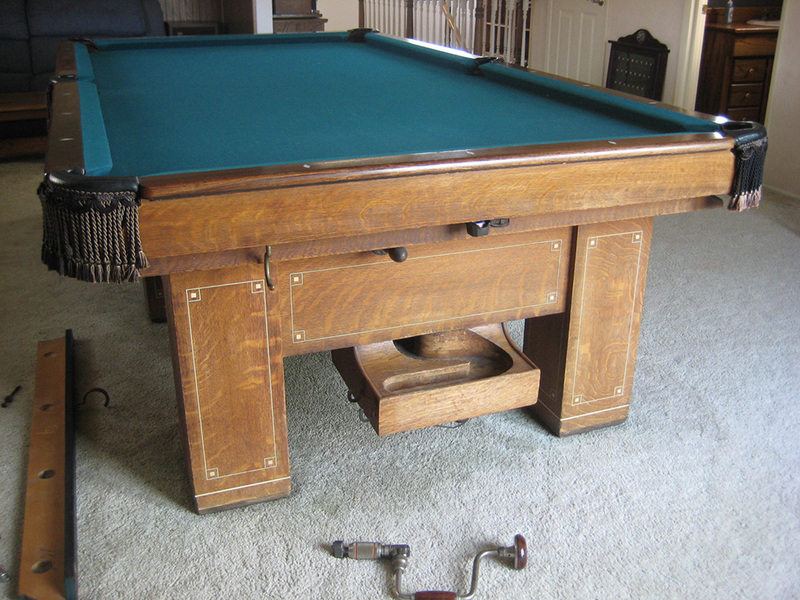 A few months later Anthony and I drove all the way down to San Diego county with the slates and proceeded to re-install the antique Brunswick pool table. My client also decided to change the felt out while we were doing the setup. He chose Dark Green, which is a pretty classic color.